Thanks to your support, 2013 was marked by more successful milestones and events for Myschoolpulse. Our team would like to thank each and every one of you for your help and contributions. In March 2013, Myschoolpulse opened a school in a fourth hospital, Centre Hospitalier Universitaire Notre-Dame de Secours, in Byblos. We also saw 72% of our students passing their academic year, thus progressing as their school peers. To date, Myschoolpulse has tutored 188 children undergoing treatment for a life-threatening illness. 2014 will be a year where our services in various hospitals will be enhanced and more strongly integrated with the kids' original schools, as our team has welcomed a Community and Operational Coordinator. We will also stand ready to support tuition fees in mainstream school, as well as psychological well-being. Pulse5K 2013 broke our previous record with 1,700 participants! 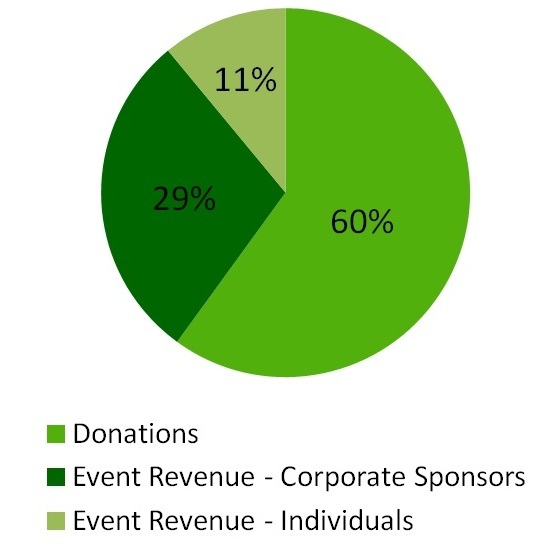 In 2013, the number of participants and funds both doubled versus 2012! A partnership with a few restaurants in Beirut helped raise funds and awareness during the winter holiday season. “At the hospital, Carmen focuses well on her studies given the one-to-one tutorship. As a result, she resumes school on Monday without falling behind on her studies." “Sick children feel that they have a normal life, that they are not alone, and that others are interested in their progress. It gives them hope that they will recover." For details on our financials and to view audited accounts, click here. - We aim that 100% of individual donations go to the tutorship of sick children. - We aim to cover all operating costs by the revenues generated from events.